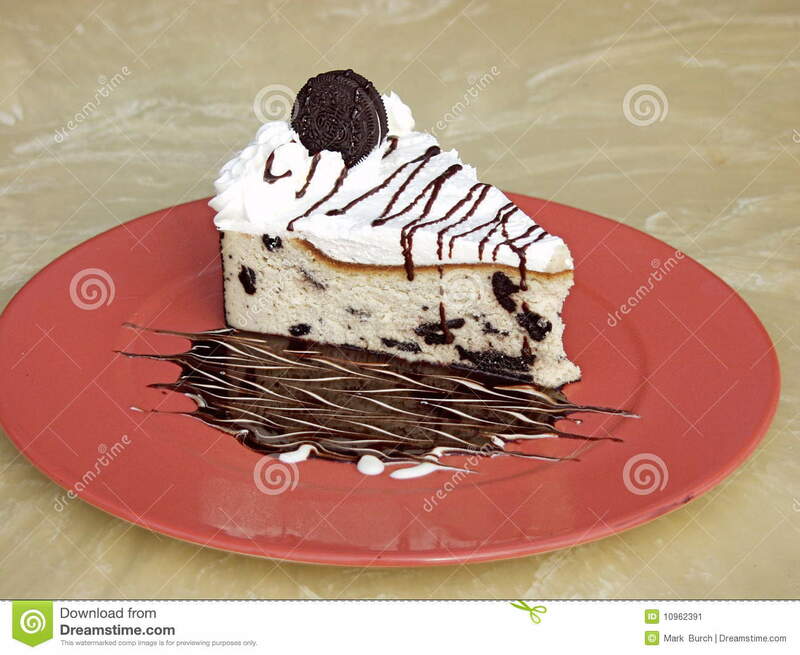 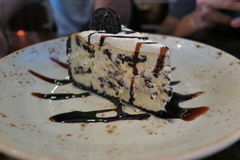 Oreo Cookie Cake on a Plate. 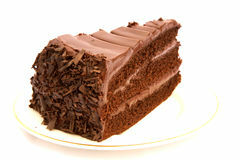 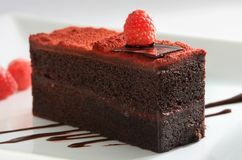 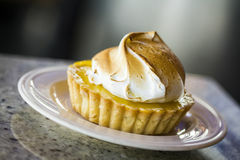 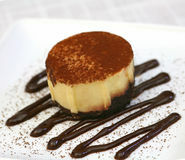 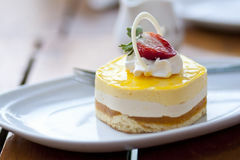 White cookie cheese cake with milky whip cream in ceramic plate on white table with ice cappuccino milkshake and copy space Chocolate cake with cheese filling is decorated with biscuits on a white background Chocolate cake with whole cookies Tasty cheesecake with chocolate biscuits and honey. 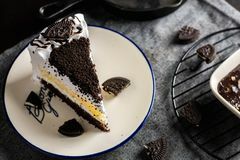 Decoration of honey and lavender OREO CHEESECAKE Chocolate Cake with oreo and whipped cream on white plate and wood table has ready to served. 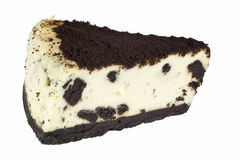 Oreo Cheesecake Creamy cheesecake with chocolate chip cookies. 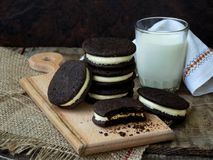 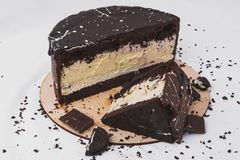 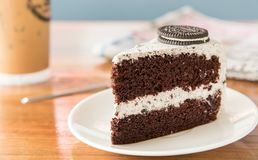 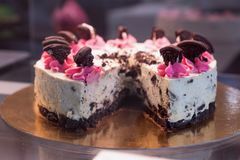 delicious tasty fresh cookies and cream cake ,sweet bakery dessert Homemade Oreo chocolate cookies with white marshmallow cream and glass of milk on dark background.